Samsung’s foldable smartphone with an Infinity Flex display, the Samsung Galaxy Fold, launches next month. It has two displays—one cover display for basic phone use and one main display that unfolds to give you a tablet experience. The device will be priced way out of reach for most consumers, but if you’re looking for a high-end tablet we have some exciting news to share. We’ve dug into a firmware dump of the upcoming Samsung Galaxy Fold and we found a reference to what we think may be the Samsung Galaxy Tab S5. Better yet, it may launch with the flagship Qualcomm Snapdragon 855 mobile platform. A few weeks before the Samsung Galaxy S10 launched, Samsung announced the Samsung Galaxy Tab S5e. This was a mid-range tablet with the Qualcomm Snapdragon 670, but Samsung gave it a decent 10.5-inch Super AMOLED display, quad AKG-tuned surround sound speakers, One UI based on Android 9 Pie, and more. The device was called the Galaxy Tab S5e because, like the Galaxy S10e, it’s a product that offers consumers the essentials at a lower price. A good enough display, a good enough processor, enough storage, and more. If you were looking at the Galaxy Tab S5e to be the successor to the Galaxy Tab S4, then you were probably left disappointed. Samsung launched the Galaxy Tab S4 1 week before the Galaxy Note 9. The Galaxy Tab S4 is Samsung’s latest flagship Android tablet, although for a 2018 flagship Android tablet it was disappointingly paired with a 2017 flagship mobile platform—the Qualcomm Snapdragon 835. While it’s still the best Android tablet on the market, many were disappointed that the best Android tablet didn’t even have the best SoC that was on the market at the time. Samsung may be rectifying that with the Galaxy Tab S5, as the code we found suggests this 2019 tablet will have a 2019 flagship SoC. WinnerLTE_EUR_OPEN – Samsung Galaxy Fold (Europe – Unlocked). 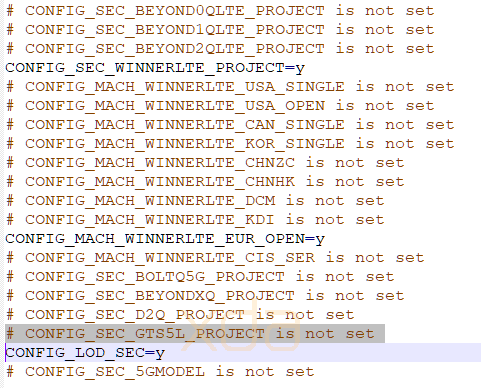 Note that this line is not commented out because our tipster pulled the file from a European Galaxy Fold, SM-F900F, code-named winnerlteeea for the 4g LTE Fold sold in the European Economic Area. D2Q – Unknown Samsung Snapdragon, but the “d” likely refers to “davinci,” the code-name for the Samsung Galaxy Note 10. Lastly, there’s “GTS5L.” The codename for the Samsung Galaxy Tab S2 is GTS2, the code-name for the Galaxy Tab S3 is GTS3L, and the code-name for the Galaxy Tab S4 is GTS4L. 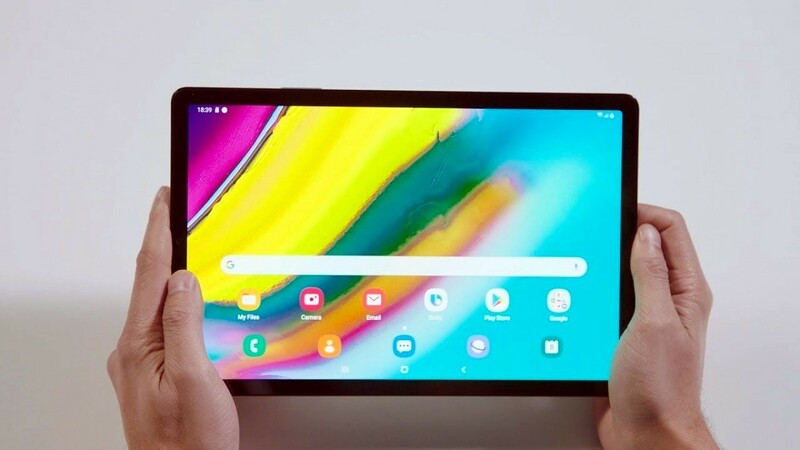 Thus, it makes sense for the Samsung Galaxy Tab S5 to be code-named “GTS5L.” The reason we think it runs on the Qualcomm Snapdragon 855 is that the defconfig we pulled defines the kernel configuration, and this particular one is for all of Samsung’s Snapdragon 855-powered devices. All Samsung has to do is uncomment the line for the GTS5L and choose the other parameters when they make the defconfig for the Galaxy Tab S5. While there are no rumors of a launch date, if last year’s Galaxy Tab S4 launch is anything to go by, the Galaxy Tab S5 should launch a few weeks before the rumored buttonless Samsung Galaxy Note 10. Featured image: The mid-range Samsung Galaxy Tab S5e.